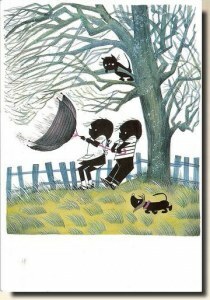 Jip and Janneke (Dutch: Jip en Janneke) is a series of children's books in the Netherlands, written by Annie M.G. 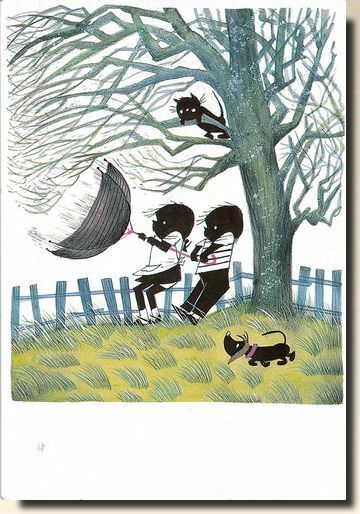 Schmidt and illustrated by Fiep Westendorp. The series is known for its simplicity and wit. The series has been translated into a number of languages, including Latin (called Jippus et Jannica) and Chinese and Persian. Three English versions have been published. Mick and Mandy, an adaptation with the original illustrations, and Bob and Jilly, translations with new illustrations, are no longer in print. In 2008 the Dutch publisher, Querido, published a new translation of the first book of the series, with the original illustrations, entitled Jip and Janneke.